Most Muslims very well know the blessings of the nights of Ramadan, especially the last ten nights. However, not everyone knows that the first ten days of the last month of the Islamic month, Dhul Hijjah, are equally packed with blessings. Allah has provided Muslims numerous opportunities throughout the year to renew their faith and to encourage them towards acts of goodness by specifying such special days. So, we have another such opportunity that we shouldn’t let pass by just like any other period in time. “By the dawn; By the 10 nights” [Surah al-Fajr 89:1-2]. Among the deeds recommended during those ten days are observing voluntary fasting, offering animal sacrifices (lamb, goat, etc. ), sincere repentance, recitation of the Quran, staying up the night and finally praying the Eid prayers on the tenth day of Dhul Hijjah. It is a great and noble day, and a blessed festival which is of great virtue. It is narrated in saheeh reports from the Prophet (peace and blessings of Allah be upon him) that fasting it is expiation for two years. End quote. Shaykh Ibn ‘Uthaymeen (may Allah have mercy on him) was asked: What is the ruling on fasting the day of ‘Arafah for non-pilgrims and pilgrims? As for the pilgrim, it is not Sunnah for him to fast on the day of ‘Arafah, because the Prophet (peace and blessings of Allah be upon him) did not fast on the day of ‘Arafah during the Farewell Pilgrimage. 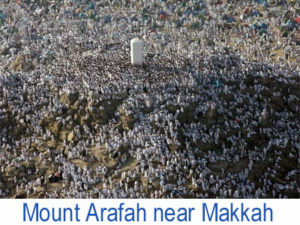 In Saheeh al-Bukhaari it is narrated from Maymoonah (may Allah be pleased with her) that the people were not sure whether the Prophet (peace and blessings of Allah be upon him) was fasting on the day of ‘Arafah, so she sent him some milk when he was standing in ‘Arafah, and he drank it whilst the people were looking on. End quote. So, as Muslims we should welcome the first ten days of Dhul Hijjah with the same fervor and enthusiasm as we welcome the last ten days of Ramadan or any other blessed days in Islam. Lets make the most of it. Being a Muslim convert I found this article quite informative and useful. I hope that others find it usefull too. Many thanks. I congratulate you on converting to Islam the religion of real Faith and Truth!Then i wish good Dhul Hijjah days to worldwide Muslims!Next i thank very much Iqrasense for these invaluable information!May ALLAH bless us and be with us!!!Wassalam! Allaahu-Akbar, Allaahu-Akbar, Allaahu-Akbar Laa-ilaaha-illalaahu wallahu Akbar walilaahil hamd. Jazakumullah Ahsana khairan Kaseera to all of readers and IqraSence. Sister Rebecca, Allah Bless and keep you in this truthful religion. May we all benefit the blessing of this month. Allah be with all Muslims around the globe. Ameen. We welcome you with love to this Religion of The Lord, Allah. May He, with all His Mercy and Compassion, shower you with Blessings and His Love in this world and in the Aakhirah (Hereafter). Iam a convert to Islam and i found this aricle very informative. I converted in December 2004, if I remember correctly the day of ashurah was around the 10 january in 2005 ( in the netherlands) This was my first experience of fasting though I didnt know at the time exactly why i was fasting. I love your articles they fill in many blanks for me, living in the netherlands and not knowing many practising muslims makes it more difficult for me to learn, also there are not many English language books available but Alhamdulilah this site is a great help. I first became to know about Iqra when i was in Morocco on holidays and i saw there was an English language Iqra channel which I enjoyed very much, unfortunatly we dont have that in the netherlands. MayAllah reward your “intentions” and doubly so your actual actions. I have learned when I am faithful unto Allah (Subhanna Wa Taila); Allah is faithful unto ME. I will make many dua’s for you. May Allah bless and guide you always, and let you enter paradise by His mercy. Ameen (Wajamee3 ilmuslimeen (And the rest of the muslims)). Dhul-Hijjah” is one among the Precious Jewels of islam. I appriciate the efforts taken by Iqra on publishing such beautiful and informative subjects. I wish all my Muslim Brothers & Sisters to take all the benifits of this precious opportuinity. May Allah the Almighty guide us all to follow his MASSANGER PROFIT’S (saw) preachings and the way he made Tablig. what a beautiful message. may Allah give the muslims the wherewithal to do more meritorious deeds in this season. This is a very good reminder of the mercy of Allah and the justice of Alllah that even those whom do not go to the hajj for any reason can still get a reward for it during that time. InsahAllah Allah make it easy for all of us to get the pillars of our faith met. Thank you so much Allah bless you all. May Allah swt help us to be better Muslims,ameen. Jakallahu Khairan for this great reminder. A little kindness can fill the heart with Joy. keef up! May Allah reward you in this life till the next Amin! May He guide our action and and bless us with happiness and understanding! One cannot but continue to marvel at the continued fulfilment of Allah’s will, “Liyuzhirahu aladdini kullihi”, as demonstrated by the effective use of the www to bring the beautiful message of Islam and bounties contained therein through such beautiful articles. Please keep it up. Jazaakumullahu bi khair. I am a research scholar in ARY Digital Network and attached with Qtv. I found this article very useful, informative, and interesting to be read by every Muslim who can read in English. My all best wishes for the author. Jezakumullah for the reminder. We sure need to use the opportunity given to us. Allah is giving us ways to repent and do good deeds. His merci is so great that he wants us to return to Him. Our sins of this year and the next will be forgiven if we fast on the 9th day. Let’s do something good for ourselves before this lunar year ends. 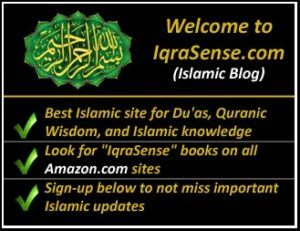 I am happy to have come accross this site- a site full of islamic activities and a host of beautiful and educative information. It is mustahib to cut yur nails and hairs before start of these 10 days(if u intend to do qurbani). Fasting on 9dhilhuujjah has special significance(it removes sins of last 01year and coming year). During these days visit sick people and ask about their health, give charity, feed someone, clothe someone, and offer voluntary prayers. across this wonderful site as it gives me the informations I need. Allah bless! Every human being is born upon “Nature” and nature is “ISLAM”. So, whoever embaraces Islam, we say that he or she has reverted back to the nature or Islam or “Deen”. Please use that you have ‘reverted’ and not ‘converted’ to Islam. Thank you and May Allah SWT Bless upon you all what you desire, Aameen! I am soo happy to read all these wonderful letters from wonderful people.They sure are spiritual support to any Muslim to have religious sites like these. Thankyou my Muslim brothers and sisters. May Allah bless us all. Amin. best rewards here and hereafter. Yes thanks all of you especially thanks to iqrasense.com by reminding us how great this ten days of night is to us. God will bless the one who will visit the holy ground and who is willing to go but doesn’t have the means to go. My brother/Sister in Islam Allahu subhanaa watallah will surely bless you for that. May Allah forgive us our sin and keep us away from bad doings. May Allah reward you all abundantly and continue to strengthen Isam. Assalam alaikumI am very grateful for this message.I really knew importance of fasting on the 9th day of this but for the whole 10 days is new to meI hall try to do my effort to make something out of it,and also pass the information to others as well. This is truly informative. hope all of us make the most of it. 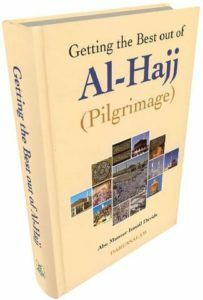 of Dhulhijjah – Haj Season. Alhamdulilah for your good efforts . I am very greatful to you for publishing a very very informative article on the last ten days of dull hijjah. I appreciate the efforts taken by you in informing such beautiful things to us. I pray the Allah almighty to give you more wisdom and happines to advise us on such things in future. 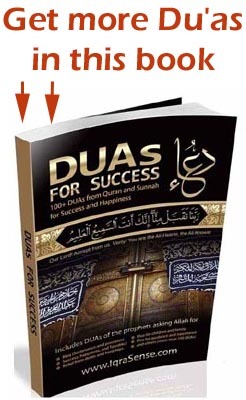 The 10 days of Dhul Hajja massage given to us is excellent information regarding the first 10 days of dhull hajja, and i think every muslim must know this as it is equal to last 10 days of Ramazan, if a muslim missed last 10 days of ramazan he can get same benifits and forgiveness from these days days. Alhamdulillah i try my best to get benifits of these days. Its really amazing and nice to know how these holy days be spent in out lives. I would definitely try to have atleast 5 fastings during these days. A great and very informative article not only for those who newly convert but to born muslim like me as well. I have watched the Eid celebrations after Ramadaan on Islam TV and have prayed the prayer for conversion to Islam, but I was alone. In my heart I believe I have accepted the faith, but I am not sure if it is recognized in Islam if it was not done in the presence of an Imaam or another Muslim. I have made a voice recording of it as a testimony to myself. Please assist me. I have also not changed my name and want to know if it is compulsory in Islam for me to do so. Alhamdullihah! this mail on the lst ten days of Dhul Hijja is so inspiring , i have never come accross the last sermon of the prophet since i have been reading islamic book(YEAR 2002) .I was so moved , my whole body was moved with the sermon above from the prophet , you know talking to the future and i thank Allah (SWT) that i am amongst those who have seen and oppurtuned to read the message .May Allah reward the entire team of Iqra sense . your publishing is really very informative. Being a Muslim, even i dont know much about the 1st 10 days of Dhul Hijj. May Allah reward you the best in this life & in the Hereafter. It is gratifying to note that these reminders on the first 10 days of the Dhul-Hijjah month should awaken the spirits of those obedient followers of Islam to perform with greater spirits. I have already started offering the Thahajud prayer at 2.15 am this morning and shall continue to do it as and when I woke up after keeping niyyat. May Almighty Pour His Choicest Blessings upon IQRA for the wonderful contributions and guidance made towards the path of Islam. Alhamdulillah that Islam is what Allah directed me to. This website is really encouraging and informative by making muslims all over the world know more about islam and its teachings. This is a kind of global Da’wah likewich all Muslims should promote and propergate most especially, to the newly converted muslims. It is our duty to clean our religion from the awful paint used by the enemies of peace (Islam) to distract people from the only way of salvation with their propaganda that Islam and muslims are the terrorists, fundamentalists, fanatics and the likes. This is one of the channels to do so. Thanks to you brotheren, May almighty Allah reword you abundantly. Ameen! Islam is about reminder. For over 1400 years, the same message(s) is(are) passed are often negleted. The first revelation to Prophet Muhammad (PBUH) was to “Read in the name of the your Lord”. 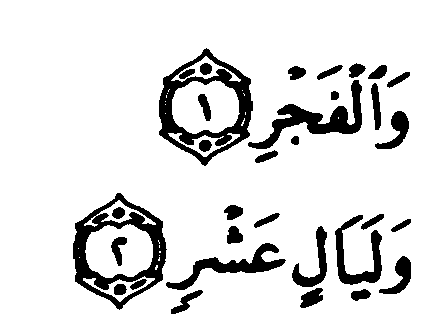 Continue with the next four verses and you will see why we are using this medium. Islam predicted the use of technology to improve human knowledge over 1400 years ago. For those who have taken it upon themselves to develop this websites to educate humanity, we pray that the Almighty Allah will reward them abundantly. maashallah…very nice article…..i would try to take fasting these days…..
Just to add something also..
1-We need to do alot of DHIKR ALLAH = i.e.recite more often the Tahleel (Laa llaaha Illallah), Takbeer (Allahu Akbar), Tahmeed (Alhamdulillah). 2-For those who wish to sacrifice an animal it`s sunna (in support to those who are on Haj) to refrain from cutting or shaving his/her hair or clipping his/her nails until after one has slaughtered his/her sacrificial animal. masha Allah…Alhamdullilah thank you so much for the information. it is really helpful….i will help to spread the message….may Allah reward you for your efforts of spreading the words of the Almighty Allah……..its a very helpfull information……thx…..
Jazakallahu khairan to all the contributors to this site, mostly happily to my brothers n sisters who have discovered the truth of yester-years, today, and forever……Islam. May Allah (SWA) continue to guide us in the rightpath n reward us wt jannat fildaus.(ameen). Ameen, we ask Allah for Al-Firdaus. Definitely he is extremely forgiving and extremely appreciative. 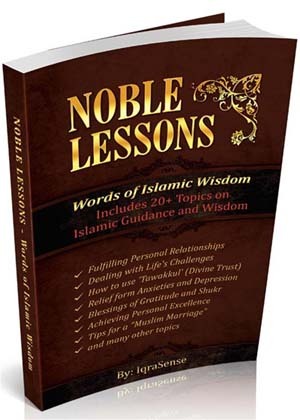 Indeed, it is highly informative for both Muslims and Non-Muslim. On one hand it shall refresh the Memory of Muslims and on the other it shall guide the Non-Muslims to Sirat-e-Mustaqeem. Allah SWT provided me ample occassions to perform Umrah and Hajj twice. Al-Hamdo-lillah. Still at 73, I wish to visit Makkah and Madina several times as I believe, it will strengthen my belief in Islam and grow in me a Muslim in real sense. Request all brothers and sisters to pray Allah SWT for me and all Muslims. Jazakhallahu kairan to all those who take the time out to work and spread Islam in its true form. For many reverts like us and muslims generally, sites like this go along way in helping build and our faith. It is obligatory upon every muslim to spread Islam as the last teaching of the Rasul was to spread Islam all over “All those who listen to me shall pass on my words to others and those to others again…..” Thus, we should in our own very different but unique ways spread Islam. The way we live with others goes a long way in inspiring other muslims lead better muslim lives and also inspire non-muslims to enter the warm fold of Islam. Therefore, we should ask ourselves if we are living Islam or or not. If we are, Alhamdullah, we will keep improving and if we not, this is a chance to. The first 10 days of Dhulhijjah gives us another special opportunity to enter that special one-one relationship with Allah. May Allah make it easy for us all and accept our Ibadah. Ameen. i must say that i am always impressed about your articles, this is because they target specific events within the islamic calender and than provide appropriate education and information relevant to the guidance of the umma, i pray that Allah richly reward us all. Subahaan Allah, very informative and even more inspiring. This is what reminding each other is all about. It also educates me on somethings I am not even aware of. May Allah (swt) lavish His blessings and continued guidance on you. May He (swt) richly reward your efforts, Ameen. Jazakallah khayran for this reminder. We all need to be reminded of Allah’s unending Mercy and Kindness. Because He loves us,He warns us to beware of Him so that we will not transgress,but,at the same time, He showers us with His Bounty and gives us hope of His Forgiveness. The greatest gift I have ever experienced is Allah’s guiding me to Islam’s Light. our busy lives. thanx for the intresting information. I love your articles, always timely. This is realy great! Jazakhalahu khayran kaziran. Masha Allah, I gotta disseminate the message. Thumbs up bretheren! Very useful and informative. Jasaak Allahu Khairun. Subhann Allah! I am a convert and didint know the significance of these ten days as much as this. Alhamdulillah my children are now learnong about this at school now so I can help them with their understanding .Tabarak Allah to all. jazakumullah katheeran. your article has just boosted my iman. alhamdulillahi i am a muslim. Thank you. First time i am getting a chance to know this hadeeth in my 39 years. Masha Allah. Jazakallah Khair, I learnt a lot about IT and just in time to catch up the rest of the precious days of Zul Hadj. May ALLAH SWT reward you in abundance and May ALLAH SWT Bless You Always, AMEEN. Thank you for this. As you know, I am Bosnian Muslim, but at my time we did not learn to read The Qur’an, so at those ten days I am learning almost very good . I am especially very proud because I can read The Holy Qur’an in ten days of this month in my age of 60! and am very lucky to make Haj every year, and to see the brotherhood of Islam in people from such diverse backgrounds, far off lands, speaking so many different languages and yet are all here for the one reason, fulfilling a requirement of their religion, answering the call from Allah, it is nothing short of beautiful! Keep up the peace and love to everyone, keep informed about religious requirements, act upon them and pass the information on, in the gentlest of manner, no ‘force-feeding’ as it were! short reply to brother Astrid….you say you have accepted Islam, but not in the presence of an imaam or another muslim. Allah is interested in only what our intentions are, so know that Allah has accepted you, but you must make enquiries at your nearest mosque and find out what the correct way is. i shall ask a scholar and send a comment as soon as i do find out..or if any one else does know maybe they can let u know, as i can understand the frustration you must be feeling at not knowing. As far as i know, you do not HAVE to change your name, but people usually add a muslim name to their ‘given’ name in order to be recognised as a muslim,but I shall double check that also. We shall be praying for all the umma’ on the Day of Arafaa’. may Allah bless each and everyone by guiding us all on to the right path. 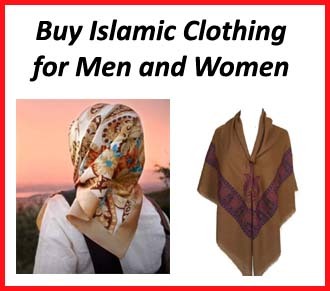 I checked it on Islam QA it isn’t necessary. Alhamdulilah Allah suffices as a witness. For those who were unable to commence fasting on the first day of this month, do not forget to do it on the day of Arafat. It is recommended for those who are not pilgrims. May we be guided by the Almighty Allah–Ameen Summa Ameen. Thank you so much for this article. Its very informative for sure i didnt know this. Actually it is an interesting article and good reminder to implement Islamic Principles in our life and get more benefit. Also it is important to think about and find the specific objectives of these important days. It will help us to be more objective oriented person and work for a specific vision in different direction of our life. 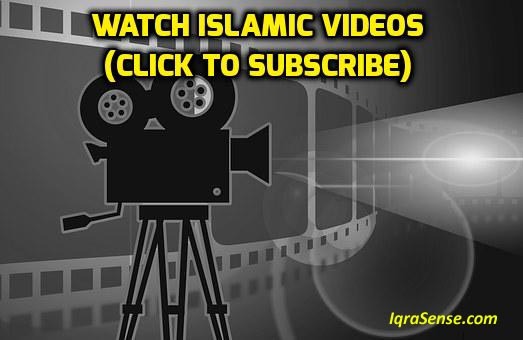 assalamu alaikum jazak allah khiarun for the timely and clear message.it is highly informative and in time reminder to all Muslim brothers and sisters.we all do need religious reminders in this fast pace world which attracts us more and more each day.May allah bless us with the best of both worlds. Alhamdulillah! Thanks bro. I really appreciate what you’ve done. This is a very splendid article. To those who wish to achieve ALLAH’s blessings this is your chance, don’t miss it! Jazakallahu khairan! Mashallah !!! Brothers and sisters in islam,this is another opportunity for repentance,utilize it. Alhamdullillah! I am so glad i read this wonderful reminder early enough. May Allah the almighty make it possible for me and you and all muslims to benefit from it. I am passing it on to all my muslim contacts. Keep up the good work and may Allah accept it from you as ibadah. MASALAAM. i am grateful to you for writing such article. its very informative and know how we should spend pour time more fruitfully. thanks . May Allah guide each and everybody to the right path. jazak Allah. Jazakallah, very informative article for Muslims. I hope all Muslim brethren prays to Allah during these ten holy nights of Dhul-Hajjah and seek the blessings of Allah for Muslim ummah. I’m a practising muslim but sometimes get lazy this article refreshed my faith, thank you. 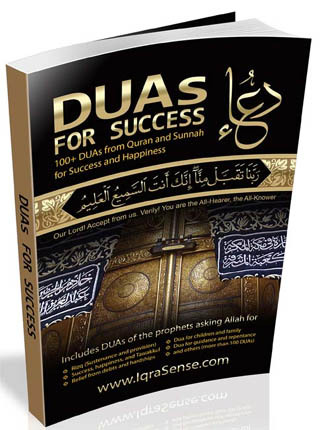 Sister, do you know how many duas there are in dua books from the Prophet salalahualayhiwasalam against laziness? Recite those! You can’t just fight laziness by yourself! this is very informative………………………………………………………….thank you so much for this. thanks for this informative article, mashAllah… and jazakAllahu khairan for posting it. mashaAllah…thx a lot 4d information n learn frm it,especially 2d revert muslim like me…it is really helpful.thx 4ur efforts for spreading the words of Allah the Almighty….jzkl khieran. iam really greatful to the person that send me this e-mail, may Allah reward him.As a good moslem,this is how we should all behave to other brothers and sisters.so that we can get the grace of Allah.more articles should be published for the young muslims and beginners.May Allah bless us all ameen. Thank you very much for this important reminder.May Allah bless everyone of us in these days. what a lovely article,i learn things tht i never knew and inshaallah i will do my best inorder to receive all the blessing of those ten days. This is highly informative and evident that Allah loves us. Calling our attention to those good deeds muslim wili benefit from. Thanks, God will reward you all aboundantly. thanks for the reminders. it is so refreshing and illuminating, May I request you to include special supplications for the first 10 sacred days of this blessed month. If you want I can send you at your email address. Alhumdulillah, a wonderful article. May Allah subhanahu wa tallah guide and unite muslims all over the world. Thanks a lot for sharing this very good article!!! May Allah Bless all of us and forgive our mistakes and sins. Every human being is born upon “Nature” and nature is “ISLAM”. So, whoever embaraces Islam, we say that he or she has reverted back to the nature or Islam or “Deen”. I would request all who “Masha’Allah” have entered Islam shoud say thaty they have ‘reverted’ back and not ‘converted’ to Islam. May Allah SWT Bless us all. Thanks to Iqra Sense for posting such an informative and timely article. Thank you very much and Ma’assalam. Jazakallah.,….! For de reminder…!allah has showed de path to make our as a useful one! But We loose everything by our laziness…….!…….! 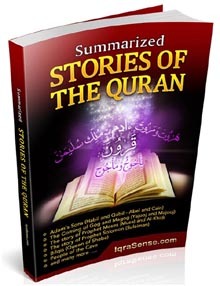 Jazakumullahu Khairan Iqrasense for highly informative articles. I congratulate all those that read and benefit from your articles. To the converters you are welcome and may Allah in His infinite mercy continue to guide you and guide us to follow the teachings and Sunnah of the Prophet(SAWS). Asslamoalikum brother ,jasakahAllhu khier and hope Allah rewardo the paradice in akherah, and i hope Allah will accept our duah and all the ibadah in the all holly days and all other dayes all our life. This is a beutiful article, may Allah reward you with jannatul firdaus. We need constant reminders like this throughout the year as there are many blessed days and practices we may be missing imperceptibly. 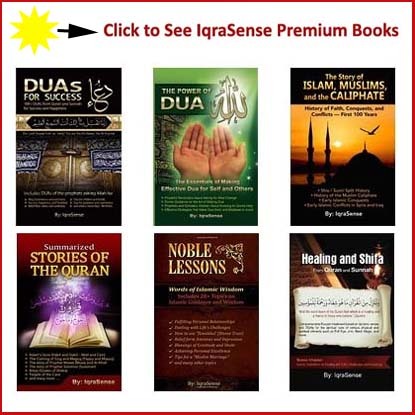 Jazakumullahu Khairan Iqrasense for your highly informative articles. Jazak Allah ul khair for sucha beautiful article. May Allah swt accept their hajj and may we too gain rewards. all the articles you are writing.For they are not only educative, informative but inspiring as well. Please do keep it up . Being a Muslim , I have found this article very informative and useful. 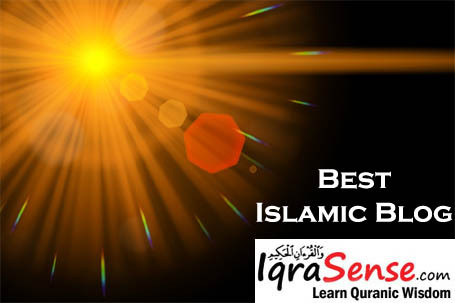 May Allah Subhanah wa tallah give reward the person who posted this,and specially thanks to Iqra sense.com for all these Islamic Articles. ALLAH has let us have many occasions to repent of our sins, through out our whole existence, HE has again given us this opprutunity to repent , and acquire the blessings HE wants us to have. HE loves us a lot , HE wants to give us a place where rivers will flow underneath , enjoy eternal bliss, to be always young, free from disease ,worries. He wants to give us palaces made of pearls , gold and servants to serves us . what are we waiting for my dear brothers? May Allah reward You abundantly. This information has bin very useful there are so many things that we kip forgetting as Muslims yet they are important n its the cahnce we av got to ask the Almighty for any kind of assistance. I suplicate to Allah to bless all the people of Iqrasense with al Jannatul firdausin ameen.This is a very beneficial article to both old and revert muslims alike. Thanks alot for the good work. Allaahu-Akbar, Allaahu-Akbar, Laa-ilaaha-illalaahu wallahu Akbar Allaahu-Akbar, walilaahil hamd. Very informative and timely reminder. May Allah SWT shower his blessings to all Iqra team who post articles like this on time. Also blessings to all muslim brothers and sisters in islam. May Allah guide us and our new generation to follow straight path of Islam. Ameen. May Allah accept all our deeds and supplication here and hereafter. May Allah give courage to fast and offer special prayers in these 10 days of Dhul Hijja. Congratulations to both our sisters for reverting to Islam and congratulations to those who were the source for it. Actually we all Muslims should have the belief that each and every child is born on Islam; later on he/she takes on the religion of his/her parents. Hence whoever turns back in repentance and gets the right path has actually reverted himself/herself. May ALLAH accept all of us for HIS work i.e spreading the true belief and at the same time practising it. This is the ultimate purpose and mission of each one’s life. We all know the door of Prophethood has been closed but the work of Prophets(Dawaah- reviving the true faith among the believers and non-believers ) has to continue until the day of Judgement. May ALLAH have mercy on all of us for our wrongdoings, bless us with his unlimited bounties and keep all of us on Siraatul Mustaqeem. I did not have the knowledge of the Ten days and nights of Dhul Hijjah’s blessings. I did the first time in Juma congregation in the Jamia mosque in my area. InshAllah I will abide by the same from this year onwards till I live, May Allah help me to achieve the same. Aameen. JazakAllah. Alhamduillah I reverted to islam over a year ago. Inshallah my family and i will go on our pilgrimage. I thank Allah for giving us knowledge of our true faith and scholars to inform us about the prophet muhammad (saw) sunnahs. We should all follow our beloved prophet (saw) to get more blessings from Allah. May Allah forgive us for our sins and send us on the correct path. May Allah reward you people abundantly for educating us on the light of Quran & Sunnat, may the Jannatil firdaus be your final abode. Keep it up. May Allah bless all of us especially the publishers of this wonderful article and those that shares it. May Allah reward us with the best of rewards. However I noticed the Hadith of Hafsah (ra) in which she reported about the ‘Five’ things that the Messenger of Allah (saws) never abandone. On counting the deeds, I noticed four acts, perhaps the fifth had been inadvertently ommited? Wallahu a’alam. May Allah reward you and your team for the very informative article sent at the appropriate time. I followed many of your instructions during the first 10 days of this blessed month and have a feeling of satisfaction and joy within me. Once again thank you very much for all your effort to enlighten the muslims. jazakhalla khairan. May Allah bless your team. Thanks for the information in this article and i would love that all Muslims could have the ability to access and read it. Assalamu Alaikum to all. 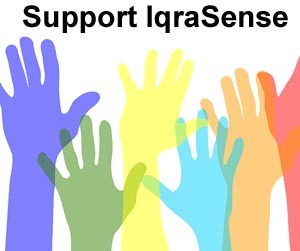 Thanks to IqraSense my knowledge on islam is increasing and I make the maximum of it. May Allah (SWT) give everyone the chance to perform Hajj even once in his lifetime. Million of thanks again to Iqra Sense for the wonderful job. Allah (SWT) is Great, and Muhammad (SAW) is blessed. Without a single doubt, any Muslim who adheres to the Qur’an and Sunnah will succeed in this world and the next insha Allah. 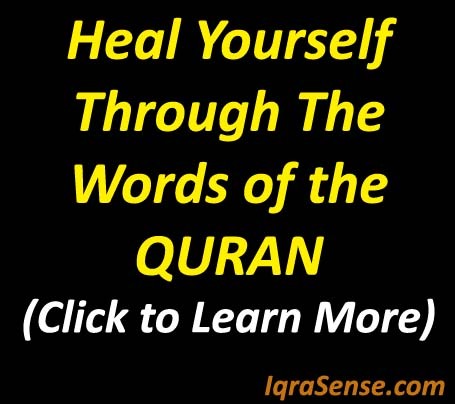 Thanks to Iqra Sense.com for this inevitable Dhikr, jazakumulLahu khayra. Asalaama alaaykum to all brothers and sisters. Subhanallah this message has been truly helpful. May Allah continue to bless you, ameen. it is very useful article, Allah will show his mercy to us. May ALLAH SUBHANU WATA AALA send abundant peace and blessings upon RASUL ULLAH SALLALAHU ALAIHI WASSALLAM,on all the messengers and believers,accept all your good deeds and dua,and grants infinite Mercy and sincerity[ because the greatest noble deed is invalid without sincerity], help you people in doing more good and spread Islam around the world,give you best reward in this world and high place in Jannate Firdous Ameen. In these ten days and nights ,one should try to do good deeds and avoid bad deeds,since those days where there are abundant blessings, punishment is also there for the mistakes,May ALLAH SUBHANU WATA AALA protect us from doing wrong and help us to make the best according to our capabilities,do good during this period. One can say,if want Saltul Tasbeeh[ in every rakat one say SUBHAN ALLAHE WALHAMDULILAHE WALA ILAHA ILLALLAHU WALLAHU AKBAR] ,From the fajr of 9th till Asr of 13th ,after every Farz Salah,we should say Takbeer-ALLAHU AKBAR ALLAHU AKBAR ALLAHU AKBAR ,LAILAHA ILLALAHU ALLAHU AKBAR ALLAHU AKBAR ,WALIL LAHEL HAMD. Keeping fast from 1st till 9th,especially for those who don’t go for hajj.Asking dua on the night of Eid.